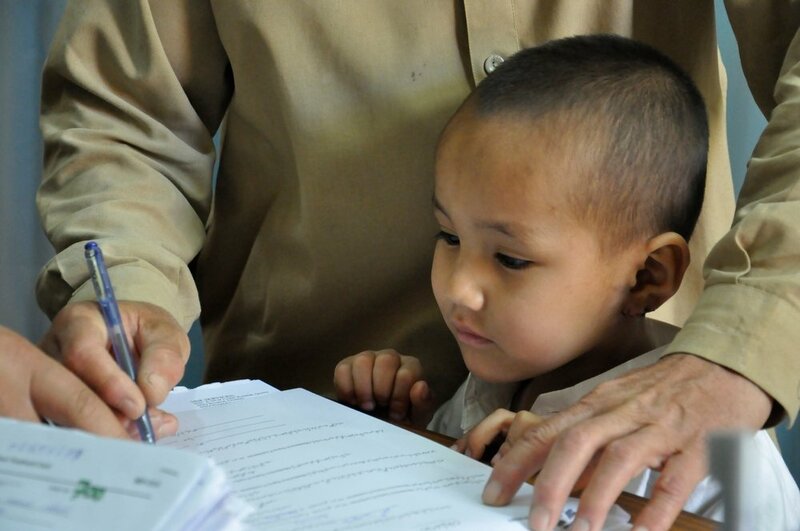 Access to healthcare remains a challenge in Pakistan, especially for women and children. Stretching from the Himalayas to the Arabian Sea, the Muslim-majority state of Pakistan is one of the most populous countries in the world, with more than 169 million people living within its borders. Home to what are thought to be some of the earliest human settlements, modern Pakistan was born out of the partition of the Indian sub-continent in 1947 and has faced both domestic political upheavals and regional confrontations. Médecins Sans Frontières/Doctors Without Borders (MSF) first began working in Pakistan in 1986 and since then has assisted in numerous natural disasters and provided healthcare to victims of conflict. Today, women and children in particular suffer from the lack of access to healthcare and there is an overwhelming need for neonatal care. MSF continues to fill gaps in healthcare, particularly in isolated rural communities, urban slums and areas affected by conflict. 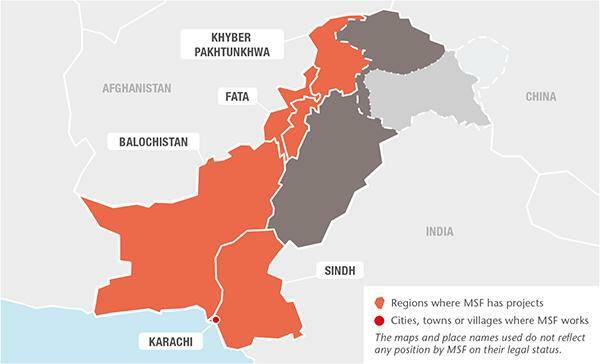 In September and November respectively, the authorities in Kurram and Bajaur informed MSF that the certificate required for carrying out medical activities in FATA would not be renewed, but gave no explanation for this decision. It is likely that the closure of these medical facilities delivering free, high-quality healthcare will have serious negative implications for people who rely on them. MSF had been providing medical services in Kurram for 14 years at the time of the closure. In Sadda, MSF was responsible for the paediatric outpatient and inpatient departments. Teams also ran the neonatal unit, and treated patients with the parasitic skin disease cutaneous leishmaniasis. In Alizai, MSF ran the paediatric outpatient department and observation room. Before the closure in 2017, MSF teams carried out a total of 26,567 outpatient consultations in Sadda and Alizai. In Bajaur, MSF had been supporting the outpatient, emergency and mother and child health departments in Tehsil hospital at Nawagai since 2013. The number of people seeking healthcare at the hospital had continued to increase, illustrating the enormous needs in the area. Between 1 January and 13 November 2017 – the day MSF left Bajaur – the teams treated 17,194 patients in the stabilisation room and assisted 1,311 deliveries. Near the Afghan border, MSF works with the Ministry of Health at Chaman district headquarters hospital, providing reproductive, newborn and paediatric healthcare. The team also manages the emergency room, and offers inpatient and outpatient nutritional support for malnourished children under the age of five. These services are available to local residents, Afghan refugees and people who cross the border seeking medical assistance. In the eastern districts of Jaffarabad and Naseerabad, MSF supports an inpatient therapeutic feeding programme for severely malnourished children, as well as the general paediatric and neonatal wards and reproductive healthcare in Dera Murad Jamali district headquarters hospital. Teams also run an outpatient therapeutic feeding programme through a network of mobile clinics and outreach sites. A new site was opened in Manjo Shuri in 2017, in response to the large number of malnourished children in urgent need of care. In 2017, MSF’s 60-bed paediatric hospital in Quetta admitted 453 newborns and 1,182 severely malnourished children. After six years of operations, the hospital closed in October. In Kuchlak, 20 kilometres north of Quetta, MSF manages a health centre offering outpatient treatment for children, including nutritional support for under-fives, 24-hour basic emergency obstetric care and psychosocial counselling. Patients with emergency obstetric complications are referred to Quetta. In 2017, MSF provided specialised treatment to 2,823 patients for cutaneous leishmaniasis through the Kuchlak Maternal and Child health centre, the Bolan Medical Complex hospital in Quetta and Benazir Bhutto hospital in Mari Abad. A young child receives treatment for cutaneous leishmaniosis from MSF’s center at Benazir Bhutto Hospital in Mariabad, Quetta. 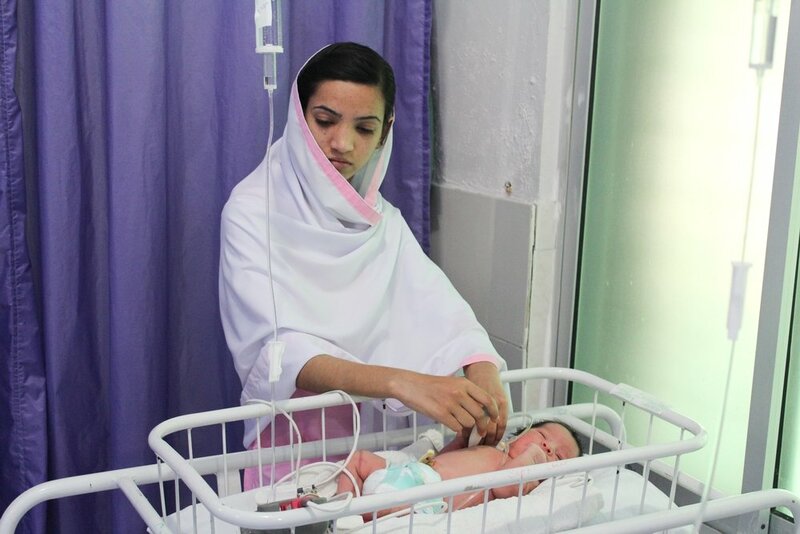 MSF operates a comprehensive 24-hour emergency obstetric care service at Peshawar women’s hospital for patients referred from surrounding districts and FATA. The hospital has 24 obstetric beds and an 18-bed unit for premature and severely ill newborns requiring specialised care. In 2017, 3,687 deliveries were assisted. In Timergara, around 200 kilometres north of Peshawar, MSF supports the district headquarters hospital’s emergency department and also provides comprehensive emergency obstetric care. A total of 10,607 births were assisted in 2017. The neonatal unit was expanded from 18 to 34 beds, and upgraded to include an eight-bed ‘kangaroo care’ room, where mothers carry their newborns against their chest, so that their body warmth acts as a natural incubator, helping to regulate the babies’ temperature. A total of 163,835 patients were seen in the emergency department. Karachi’s Machar Colony slum is densely populated, with around 150,000 people living in polluted conditions and facing a lack of clean water and waste disposal. MSF conducts outpatient consultations at the clinic it runs in collaboration with SINA Health Education & Welfare Trust and provides diagnosis and specialised treatment for hepatitis C, which is highly prevalent in Pakistan. In 2017, 773 patients were started on treatment and 692 completed the course. The team also manages uncomplicated births and offers mental health counselling and health promotion. At the end of 2017, MSF closed the stabilisation room it had been running in the clinic. A nurse is caring for a newborn baby in the newborn unit of DHQ Timergara, Pakistan.